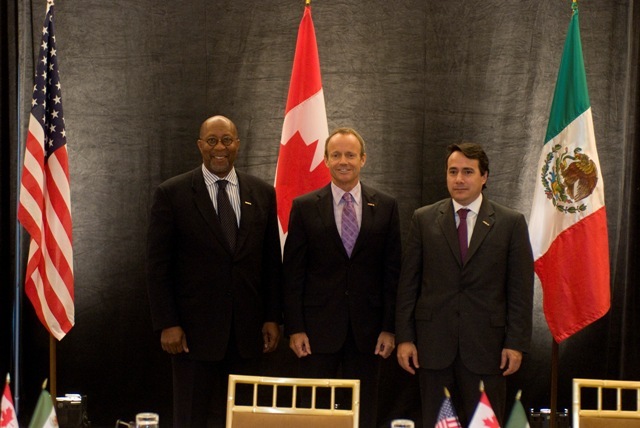 U.S. Trade Representative Ron Kirk, Mexico’s Secretary of Economy, Gerardo Ruiz Mateos, and Canada’s Minister of International Trade, Stockwell Day, met in Dallas on October 19 for the annual NAFTA Free Trade Commission meeting. They issued a lengthy joint statement that mostly referred to other NAFTA groups that meet to address specific topics. Issues in NAFTA are not resolved with broad flourishes, but are ground out one at a time when the politics for change overcome the politics of the status quo. The NAFTA Commission was established under Chapter 20 of NAFTA “comprising cabinet-level representatives of the Parties or their designees.” The Commission supervises implementation of NAFTA, resolves disputes on interpretation or application and supervises the work of all committees and working groups established under the agreement. The Commission also established the NAFTA Secretariat and oversees its activities. The Commission meets at least once a year, is chaired successively by each party and operates by consensus. The NAFTA Commission agreed to strengthen relationships with the North American Commission for Environmental Cooperation and the North American Commission for Labor Commission. These two groups were formed by supplementary accords to NAFTA and began operating on January 1, 1994. They were the first groups on the environment and labor to be linked to an international trade agreement. They are charged to operate without interfering with the sovereign functions of the three governments. The NAFTA Commission is establishing an ad hoc working group of senior officials to study areas of cooperation. Given the recent attention given to environmental and labor issues in trade agreements, the working group should be helpful in addressing both sets of issues. Environmental goods were among the items the NAFTA Commission asked the Working Group on Rules of Origin to consider whether liberalization of rules of origin would expand trade. The Commission noted that a third set of changes in the NAFTA rules of origin had been implemented recently and further progress at the working group level on rules of origin for environmental goods was expected next year. As trade continues to expand around the world, rules of origin for component parts will become larger issues. The NAFTA Commission commended various industry groups working on textiles and apparel, steel and counterfeiting and piracy. The Commission gave recognition to smaller, newer businesses that often drive innovation and employment. Their first export markets are often the other NAFTA countries. Officials were instructed to exchange more information about small business experiences in trade and prepare a report for next year’s meeting. Small and medium size businesses are doubly important as the three economies recover from the worldwide recession. The NAFTA Commission did a commendable job at the meeting of shepherding along the bureaucratic processes that are part of the almost trillion dollars of trade each year, but there was no mention in the joint statement that the Commission actually did anything to resolve the numerous trade disputes. 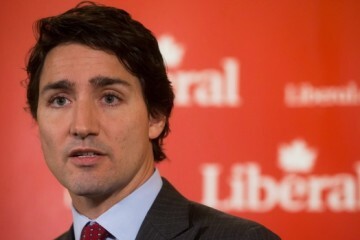 The top two issues discussed as reported by the media and other sources were the “buy American” provisions for steel and components in the U.S. $787 billion stimulus plan and tariffs on U.S. exports to Mexico in response to the U.S. not allowing Mexican trucks to operate in the U.S. Minister Day of Canada said suggestions had been exchanged by both sides on the “buy American” requirement, but no agreement was in sight. Negotiators will meet again next week. The Mexican truck issue will be discussed in the near future in Washington by U.S. Transportation Secretary Ray LaHood and Mexican Transportation Secretary Molinar Horcasitas. The NAFTA countries have clear choices on how to resolve trade policy disputes. Bureaucratic processes are in place to work through issues and consider alternative outcomes, but there are no incentives to resolve disputes. The “buy American” issue has been around eight months and the only change has been a waiver in July for broadband technology. The Mexican tariffs in response to the trucking dispute have been in place for six months with only talk about a quick resolution and the broader trucking issue dates to implementation of NAFTA in 1994. Country of Origin Labeling (COOL) for Canadian meat products exported to the U.S. has been an issue for over a year and Canada is now taking its case to the WTO. With trade of $2.6 billion per day, the dispute process has to move faster. Issues need to be given careful consideration, but market integration cannot go forward without a reasonable expectation for resolution. One option would be for the three Trade Ministers to meet for one day a year to consider final resolution of disputes. The most positive action taken by the Trade Ministers was their effort to “reducing unnecessary regulatory differences.” That would allow products to be made in any one of the three countries to one standard for sale in all three countries. Some of those standards would come from the individual countries, but other could come from the many international standards setting bodies that are helping countries around the world to achieve science-based, affordable standards. The easy response is to brush off the NAFTA Free Trade Commission meeting as just another bureaucratic gathering, but we have learned that trade agreements are only as good as all the details worked out by lower level committees and working groups. 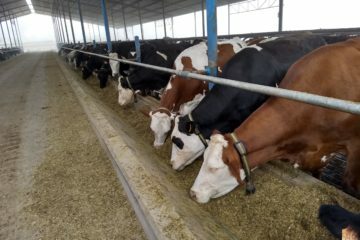 Trade agreements work when disputes are solved in ways that minimize the economic disruptions caused to producers and consumers.